Our government knew something terrible was going to happen in Libya. It was just a matter of when and how bad. Determining “when” should have been easy. After more than a decade in the post 9/11 era, it would seem that the State Department and every American would be prepared for yet another tumultuous anniversary of September 11th. With Libya being the third country where a dictatorship was brutally overthrown by the US and allies, we should have known the other shoe was going to drop. Over 200 violent incidents just in Benghazi and an ominously growing list of direct al Qaeda threats should have indicated that something was coming. Determining “how bad” would probably not have included the death of the President’s personal envoy, a critical intelligence mission destroyed and severe political damage to the election campaign of a President who had boasted of defeating al Qaeda and killing its leader. But the third part of the impromptu attack—that same government’s handling of reporting simple facts—will be the most devastating blow to our country al Qaeda has affected since the events of 9/11. It would be a self-inflicted wound on the American government that has yet to stop bleeding. The bottom line is that our government should have acted differently after all hell had broken loose in Benghazi and four Americans—the Ambassador, a diplomatic staffer, and two former Navy SEALs—were dead. Numerous requests and security reports by Ambassador Stevens and his security staff likened the situation to the “Guns of August”, a reference to the opening days of World War I. There was little subtlety in their requests for help. These requests were repeatedly sent to the State Department, which routinely ignored, dismissed, or worse, said they denied the existence of. Although Tripoli was the official home of the U.S. Embassy in Libya, the Special Mission in Benghazi had been critical in coordinating Western support and shaping the militias that rose up against Colonel Muammar Qaddafi from February to October of 2011. Ambassador Chris Stevens was equally important in low-key support for the revolution. 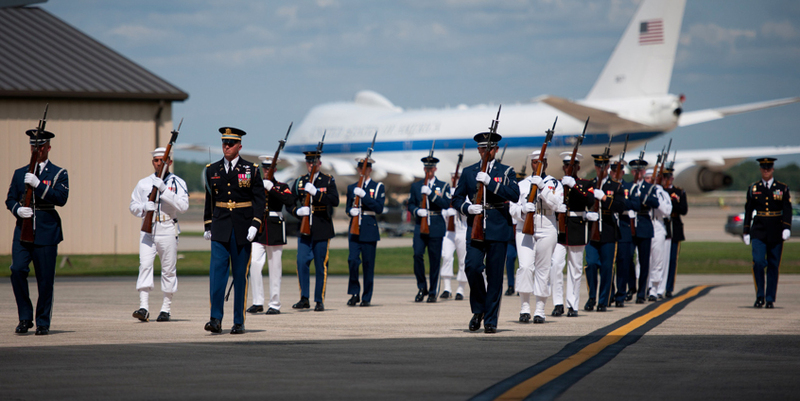 In 2011 the U.S. “led from behind,” coordinating an impressive 26,500 international air sorties. Unlike Iraq, there was little friction in Libya. Qaddafi was killed and a token government installed. But in reality over 500 militias were still in control of the ground. The task of collecting weapons, growing governance, and spreading influence was handed to the Ambassador and the CIA in Tripoli and Benghazi. Much like Afghanistan after the Taliban and Iraq after Saddam, Libya was neither safe nor a properly functioning country. The U.S. mission in Benghazi had already been attacked by a massive car bomb on June 6 of this year, leaving a 40-foot crater. A grenade was tossed over the wall a month earlier. The British ambassador had been ambushed and narrowly avoided RPG attacks. The Red Cross had been attacked in August and felt the threat serious enough to shut down operations there. Threats on the Internet appeared. Things were not getting better in Benghazi. Instead of adding security in the summer of 2012, the State Department began to remove men and equipment from Benghazi. The 13-acre Benghazi compound was always considered too large to adequately protect. Although the Regional Security Officer Eric Nordstrom was told to rely on local security, he kept a clear eye on the deteriorating security conditions. No official statistics existed but Nordstrom knew he was in a dangerous posting. His official reports describe 16,000 criminals released by Qaddafi, over 50,000 surface-to-air missiles, hundreds of armed groups, 50 attacks on police stations, car-jackings of embassy vehicles (including multiple break ins of U.S. embassy vehicles) and streets controlled by armed gangs and militias. The string of memos drafted by various employees, sent directly to the highest level of the State Department and signed by Ambassador Stevens continued up until the fateful day of September 11th. One disturbing trend were the growing appearance of black al Qaeda flags flying over a number of government posts and a rash of new attacks on western facilities claimed by the “Followers of the Imprisoned Sheikh Omar Abdul Rahman Brigade.” Al Qaeda has continually claimed that as the reason for the two attacks on the World Trade Center, and this was the group who took credit for the massive car June 6 car bomb against the Benghazi special mission. To make sure there was on confusion, the terrorists left pamphlets at the gate of the embassy promising more attacks in their effort to free the blind Sheik from a federal prison in Butner, North Carolina. On September 7, the al Qaeda website Shumoukh Al-Islam urged locals in Egypt to burn down the U.S. Embassy in Cairo and kill all inside to release the blind sheikh. The responses to all this were suggestions to use local security. RSO Nordstrom officially described the local police as “unprofessional, ill-trained, generally inept [and] susceptible to bribery”. The presence of only two Diplomatic Security agents also meant that the special mission was woefully inadequate. A constant email battle between the deployed staff hired to provide security and the State Department employees in Washington continually pointed to this dangerous situation. On September 11th, riots broke out around the world and the flag of al Qaeda appeared above US missions in Egypt, Yemen, Tunisia and soon, Benghazi. That evening around 10pm, with little warning the special mission in Benghazi was attacked and overrun by al Qaeda fighters and curious locals. The local security guards fled. The main building where Ambassador Stevens, Sean Smith and one DS agent fled was set alight by diesel fuel thrown through barred windows. Minutes after the attack, the Ambassador, RSO and staff would send accurate and desperate cables, phone calls and emails to over 300 State Department, military, security, intelligence and government employees. As four men were murdered and eight wounded, nothing would be done. Sean Smith, the man in charge of sensitive information and who sensed something was going to happen that night, was killed. Ambassador Chris Stevens apparently died from smoke inhalation as he rushed to escape the smoke and reach the roof. The search for him was abandoned and his body discovered by a mob. At Benghazi airport, a group of 12 armed, Arabic-speaking OGA security in plain clothes showed up from Tripoli. They told the Libyans, who showed in five white Toyota Hiluxes that carried 20 men, that they were there collect the Ambassadors’ body from the hospital. Their actual mission was to find the CIA annex. They were forced to use GPS units to find the building, and didn’t trust their Libyan security. When they arrived they met 32 people and one body bag. At 4 am the two ex-SEALs were killed by a barrage of well-placed mortar fireas they maintained a desperate overwatch on the roof of the annex. When the shooting abruptly stopped, the Benghazi mission and annex were abandoned, and sensitive papers picked over by the curious. Al Qaeda quickly took credit for the attack, and within two hours cables notified the White House of this fact. This would be enough of a disaster, but it was the State Department’s handling of the situation that would enrage the families of the lost and the American public even more. Although the information from the attacks in Benghazi and Tripoli was accurate and timely, the American public was sent mixed and false messages by government officials. As pressure mounted and “whistleblowers” began sending documents to the media and congress, Secretary of State, Hillary Clinton, forbade her staff from returning phone calls to Congress regarding the incident. The attempt to stop the rapid flood of official documents uncovering a long history of conflict between demands for more security, rude rebuffs by State, and stand downs of freely provided counter assault teams would shock a nation previously accustomed to criticizing excess diplomatic security in places like Iraq. More importantly, could this attack have been timed to show weakness in an incumbent who continually insisted that “al Qaeda was on the run”? Having spent three years inside the world of security in hostile regions, I was perplexed at how the disaster happened. Ambassador Stevens supposedly arrived in Benghazi with a crew of two Diplomatic Security agents—usually former police and military who are career professionals tasked with keeping their “VIP” safe. Two were permanently in Benghazi providing for a total of four government-provided guards. Four (three agents and an Agent in Charge, or AIC) is the minimum to “walk the diamond,” run two vehicles and provide meaningful armed response. A fifth would be needed to coordinate from the ground if an attack happened. From my brief experience witnessing diplomatic security, even I know that a skeleton crew of four is risky. I knew from my hundreds of interviews and on-the-ground experience that any corporate or government security officer who sent out VIP’s into a hostile area without the accepted-size detail would be fired. During this time between the changeover from Ambassadors Cretz to Stevens, the State Department actually removed a 16 man Special Operations Site Security Team provided by AFRICOM, a 28 passenger D3 support aircraft capable of airlifting all employees, and RSO-requested security personnel. Someone in Washington was slowly and deliberately dismantling the security in Libya. My interest in this debacle stems from writing “Licensed to Kill, Hired Guns in the War on Terror” the years I spent participating, watching and learning how diplomatic high-threat security training worked. I documented, attended and even taught classes conducted by companies like Triple Canopy, Blackwater and many more. Even I knew that four men are not enough when the shooting starts and crowds get out of hand. Two agents typically rush the “VIP” to safety, and two must hold off the attackers. The AIC must keep a clear head and coordinate escape and rescue efforts. A brief review of the internal documents shows an embassy and special mission unable to provide movement, intel or the basic levels of safety to a diplomatic mission in a region similar to Iraq, Afghanistan or Yemen. Why would the U.S. State Department refuse security to one of its most visible and dangerous postings? Diplomatic security in the era of Blackwater and Little Bird helicopters has been criticized for being overly aggressive, reactive and high profile. But judged on performance, it was exceedingly effective and based on years of lessons learned. Understandably the Secretary of State would enforce her well-publicized resistance to hiring Tier One private security, but it appears that security in Libya had been degraded to the level of a suburban shopping mall. A handful of locally hired guards with high desertion rates and abysmal training were all that stood between trained attackers and the mission. Ambassador Stevens was comfortable in Libya. But according to government whistleblowers providing inside communications to former a Army Reserve officer and California Republican Congressman Darryl Issa, Stevens only discontinued his daily jogging routine after a local Libyan militia published it online. There was clear disagreement among staff—from those in Tripoli to those in Washington—over the security profile appropriate in Benghazi. He was already pushing the envelope of safety but even he ultimately demanded more security. Part of the blame seems to be based on the Ambassador’s well-intentioned efforts to show a lack of fear. But why would Stevens push the envelope by going into the most dangerous and least guarded U.S. facility on a blatantly dangerous day? Based on his crumbled agenda found at the site, the Ambassador had a quiet day planned for September 11th: two business meetings and plenty of personal time. He had saved the 12th and 14th for diplomatic chores. Although his schedule on the 11th was “TBD,” on that fateful evening he met with the Turkish Ambassador at 8 pm. It is not known what happened between that meeting and 10 pm but sources on the ground say that the Ambassador had a personal reason based on a relationship he had formed in Benghazi. None of the Ambassador’s official meetings in Benghazi were critical or necessitated pushing the security envelope. By 10:15 the Ambassador would be dead. By dawn, a total of four Americans would be dead and the U.S. Special Mission sacked. What the local guards reported, before they fled, was that the attack came from three sides. Stevens along with Sean Smith, a U.S. Air Force veteran turned Information Management Specialist, were killed when the building they took refuge in caught fire, and they died from severe smoke inhalation. Some say the men could not escape the building because a rampaging mob had penetrated the embassy and was trying to kill them. The DS agent made repeated attempts to find them and only left with the limp body of Smith. They made the decision to abandon Ambassador Stevens and evacuate the special mission for the OGA annex. Three hours after the special mission fell to the armed mob, two former Navy SEALs who were in Libya on a mission allegedly unrelated to any diplomatic security contract, died outside a nearby CIA annex. They were killed by a deadly accurate mortar blast. The special mission and the annex were abandoned, the staff evacuated. The embassy in Tripoli sent more people home. After billions spent to liberate and bring American influence to the region, a few members of al Qaeda had eliminated or severely reduced the U.S. presence in Libya in just a few hours. In Iraq five years before the Benghazi attack, on September 16, 2007, a State Department security officer called for a blocking position after he decided to move a VIP back to the green zone. A car bomb had detonated outside a meeting and the agent in charge wanted extra protection while the Blackwater detail whisked the diplomat to safety. Within minutes, 11 Iraqi civilians would be killed in the crossfire between insurgents and Blackwater firepower. From then on, U.S. diplomatic protection would be branded by the Nisour Square shootings. I trained Special Forces, Secret Service and other government agents to think like terrorists, and conversely I was trained to prevent assassination attempts on VIPs. I rode shotgun with a Blackwater team every day for a month on route Irish—the most dangerous stretch of highway in the world. I flew in Bremer’s Little Bird helicopters, rode high-pro, low-pro and generally absorbed the impressive and flexible tactics, effort, and machinery of people who protect our diplomats in dangerous places. I can say that protecting diplomats is a deadly serious business with advance planning, constant training, worst-case scenarios and even a multi-hundred-million-dollar-plus “Worldwide Personal Protective Services” contract to ensure that our diplomats and embassy workers are safe. But none of that was in place in Benghazi on the eleventh anniversary of the World Trade Center attacks. I can also say that requiring trained professionals to employ local as guards the inner-wire defense of our diplomatic efforts in a war zone is incompetence at its highest level. Secretary of State Hillary Clinton has privately embraced the ideas of effectiveness of private security guarding rusting ships off Somalia from pirates but somehow refused to allow the same security inside Libya’s tumultuous borders. Somehow security in Libya was left to local police. Wanis el-Sharif, eastern Libya’s deputy interior minister, who was in the Interior Ministry’s operations room, was in charge of security that night. According to Sharef, a group of armed men with AK-47s and RPGs appeared at the front of the Benghazi mission around 10 pm, followed by another unarmed group protesting. Soon the crowd swelled to around 200 people—predominately armed militiamen in armored vehicles. Shooting began and Sharef urged the Americans to evacuate. He would send a dozen security men to help. The team from the February 17th Brigade arrived at the mission by 10:30 pm and began to organize an evacuation. When they arrived, the main building was on fire and two men were missing. He did not know why the Ambassador’s security team did not know where the Ambassador was. The local armed guards hired from the February 17th fled against overwhelming odds. When the embassy convoy and the Ambassador’s security team evacuated the consulate for the annex, Ambassador Stevens was still not with them. Instead, Libyan civilians found his limp body and brought it to Benghazi Medical Center where Ziad Abu Zeid, a Libyan doctor, tried unsuccessfully to resuscitate him for 90 minutes. He did not know the identity of the body. But the deceased man had a mobile phone on him, and when the doctor called numbers from the contact list he then realized he had been working on the dead body of the U.S. Ambassador to Libya, Chris Stevens. The CIA annex was about a mile away. News sources report that there were efforts to communicate with the White House at around 11 pm Libyan time. At that time, President Obama was heading into a 5 pm meeting with the Defense Secretary Leon Panetta and Chairman of the Joint Chiefs of Staff. General Martin Dempsey was notified of the situation in Libya. Dempsey opted to do nothing other than suggest that the embassy request help from the Libyan government. Cables indicate that the State Department not only had a live feed but that the U.S. Army had stood up an “in extremis” force designed for exactly these type of attacks and was less than one hour away by air in Italy. Sending assets in by air, like the much-feared AC 130 gunship, designed specifically to surgically eliminate armed attackers at nighttime, was neither foreign nor difficult for air controllers and the U.S. military. As the convoy pulled up to the annex, they found themselves under attack again. This is where two CIA contractors, whose alleged mission was finding and purchasing weapons, made their last stand. The attack was described as fierce and involved RPGs and small arms, and some say another mortar attack that killed the former SEALs. There were no other wounds or deaths reported at the annex. Former SEALs on Guard or Buying Libyan Weapons? Contrary to many assumptions, the two former SEALs were not working as embassy protection. They were working for MVM under contract to the Central Intelligence Agency allegedly working the counter proliferation program in Libya. The CIA does not share security staff with embassies and requires highly trained, TS SCI-cleared contractors to protect NSA, CIA case officers and facilities. Both ex-Naval Special Warfare Tier One vets were well known on the contractor circuit. Former sniper, Tyrone Woods, 41, of Imperial Beach, California, had until recently run a bar called the Salty Frog. He paid the bills by working the circuit for Triple Canopy and Marquez Vance Marquez, now known as MVM. Glen Doherty, 42, a fellow sniper and longtime friend of Woods, operated a fitness program (also in San Diego) and had worked overseas since 2005 with MVM. MVM is a company started by former Secret Service agents and is based in Ashburn, Virginia. The company is a seasoned supplier of security contractors to the OGA community, and insiders told me they provided the services of the two former SEALs in Benghazi. When MVM was contacted for confirmation, Mike Leighton, Program Manager for MVM, told me they did not do such contracts anymore, hadn’t for a while and “doesn’t have a contract for that all”. When he asked again who I was, he said, “You know we can’t talk about that” and “it’s all classified anyways.” MVM had previously black listed a security contractor who appeared in my book “Licensed to Kill” because they thought he had mentioned their name. MVM had come back from a loss of their CIA security contract in 2008. The contract was apparently worth one billion dollars over five years, and they’re now providing cleared security guards to around 80 U.S. embassies around the world. The two contractors killed were unarmed and there to allegedly to buy back weapons. Both would have been inherently well trained and well equipped to respond in a security breach. As Woods and Doherty heard of the attack, they requested to leave the annex and assist at the Special Mission. Their higher ups at the annex told them to stand down. Three times. They would die a few hours later guarding the annex. When the 30 or so diplomatic, agency, and rescue team staff left the annex and arrived at the airport with three dead bodies, the aircraft sent was too small to evacuate them all at once. It was forced to make two trips. 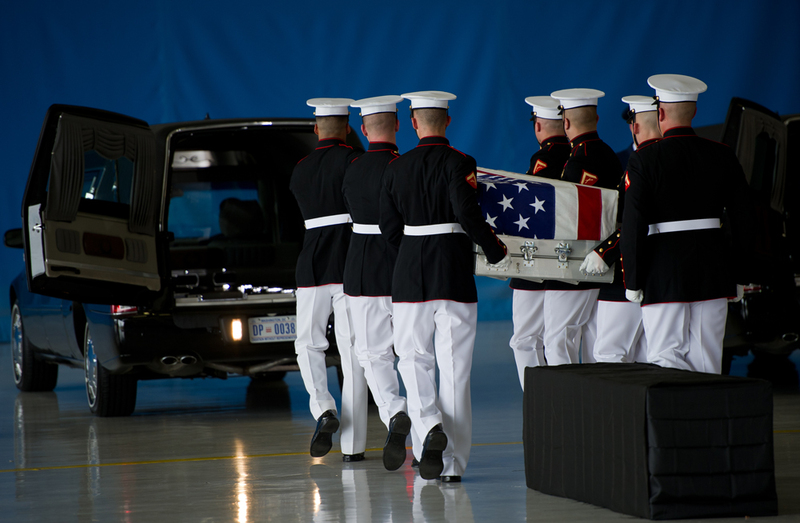 While the Americans waited for the plane to return, Libyans delivered Ambassador Steven’s body to the airport. According to Marine Corps spokesperson, Captain Kendra N. Motz, a FAST (fleet antiterrorism security team) unit of about a dozen Marines was dispatched to secure the embassy on September 12. FAST units are typically a platoon of men that secure the perimeter. They were too late and too far away to make a difference. The Special Mission was closed. Three days after the attack an FBI team was dispatched but chose to wait more than two weeks to really “investigate” until conditions were “safer.” But four days after the attack, CNN was able to find the Ambassador’s diary in the rubble and broadcast Steven’s concerns for his safety. Currently, there is no U.S presence at the Benghazi site. The owner has padlocked it and hired two private guards to keep out the curious. The Washington Post discovered more sensitive documents on October 3rd. Their reporting confirms that the locally hired security workers at the Special Mission in Benghazi were warned to quit their jobs weeks before the attack occurred. Secretary of State Hillary Clinton had made the decision for a “low profile” security presence. This was, perhaps, an over compensation of the Libyan rebels’ demands for sovereignty, even though the 61-year-old Libyan government and security apparatus had been decapitated only a few months prior. Eager to engage and coordinate the confusing mix of Libyan rebel groups, Ambassador Stevens was brought in as a go-between. He was well aware of the level of chaos, amounts of weapons and dozens of fractious militias that controlled the region. This type of high-risk posting—similar in Iraq, Afghanistan, Israel and other hot spots—would typically be afforded greater protection and surge capability under the “Worldwide Personal Protective Services,” or WPPS, contract. In the past, contractors like Blackwater, or similar entities, have been able to send highly qualified contractors (usually former Special Operations soldiers with TS SCI clearances) within hours of a requirement. They are often issued diplomatic passports to make them immune from local prosecution in the case of a shooting or weapons problem. Unlike Iraq, where Ambassador Paul Bremer was given a 64-man armed detail complete with sniper-laden Little Bird helicopters and bristling armored vehicles, Stevens had nothing other than a handful of Diplomatic Security agents who technically were dramatically under staffed and under resourced, according to the RSO’s constant requests for proper staffing levels. In 2008, presidential candidate Barack Obama and New York Senator Hillary Clinton called for contractors to be replaced by staffers. That would prove to be more empty campaign rhetoric, considering the massive scale of training, available manpower and shifting requirements. Libya was soon to become the latest hot spot for America. For a short honeymoon period, similar to the first days of Afghanistan and Iraq, it appeared that a low-key approach to security with literally no armed Americans on site might be enough. Once again, Ambassador Chris Stevens was an example of the “new” diplomat. He spoke Arabic. He was comfortable overseas and dismissive of heavy security that would create a barrier between him and the population. But the local Ambassador did not set the security profile. Diplomatic security professionals in Washington, with direct input from the Secretary of State, set the security profile. Could the State Department under Hillary Clinton completely reverse the security profile in hostile environments? To understand this I reached out to two men who know the business of security. He believes that the Secretary of State deliberately ignored the potential dangers of Libya and left the embassy staff hanging for the sake of political correctness. Hunt’s assumptions are turning out to be correct as documents and evidence come forward in this politically charged controversy. The commander of the February 17th Brigade, the exact militia the special mission was forced to rely on, was given three days’ notice before the Ambassador’s arrival. Hunt is appalled at the level of security chosen for Libya. “Probably the lowest level of security we have for any foreign embassy I can think of,” he says. In 2011, security contractors descended en masse into Libya. Eager to guard oil facilities and train the unruly militias, it was considered the next “Iraq.” But most companies were surprised to find that in the optimistic post-Qaddafi Libya, guns were not a part of those contracts. One enterprising company that entered the fray was the UK-based contracting firm Blue Mountain. The owner, 50-year old Welshman David Nigel Thomas, is a 14-year veteran and mountaineering specialist for the Special Air Service. Thomas arrived in Libya with other British security companies during the conflict to land training and oil security contracts, only to find that all the contracts were unarmed and you had to have a Libyan partner. Blue Mountain, a tiny company that operates from rural Wales, was involved in evacuating the thousands of oil workers in February 2011, as well as guarding media teams covering Libya. In keeping with the low-profile stance that the U.S. wanted, his company secured the contract to guard the Benghazi consulate. In April, a mobile training team had been on site to train local guards, and funds were assigned to hire a local force. On May 3rd, 2012, the State Department awarded contract number SAQMMA12C0092 to “Misc. Foreign Awardees” to provide a “Housekeeping-Guard” role. Blue Mountain was paid $387,413.68, with an extension option that brought the tab for protecting the consulate to $783,284.79 to provide and train half a dozen Libyan guards, apparently under a “no bullets” restriction that meant the guards could not be trusted with loaded weapons. When I queried the embassy in Tripoli to provide specifics, Mietek Boduszyński, the Public Affairs Officer, politely said “As you know, there is an ongoing FBI investigation into this attack, so unfortunately the RSO or others are not at liberty to talk about it at the moment.” More than two weeks after the attack, the FBI, charged with both protecting the crime scene and gathering evidence, had yet to set foot in Benghazi or respond with facts. The Washington Post, CNN, and locals found sensitive documents lying in the debris of the looted compound. Had Marines been at Benghazi, it would be safe to assume that much of the sensitive data would have been destroyed. Benghazi was the center of the revolution. Ambassador Stevens did much of the coordination with rebels. Benghazi was an important outpost for the CIA who maintained the annex to coordinate intelligence gathering and weapons collections. If the deaths of four Americans weren’t enough, the administration’s handling of the response attracted the attention of the right-wing press, and then finally the moderate and left-wing media. Before the flames were put out in Benghazi, the White House began its bumbling, stumbling information operations. The confusion of the media message seemed to equal the bewilderment of the embassy attack. After 11 years of dealing with al Qaeda, and on the anniversary of the most symbolic day in recent history, was the U.S. government that confused, flatfooted, ill prepared and perhaps dishonest? Someone in Hillary Clinton’s office sent UN Ambassador Susan Rice to blitz the weekend press shows. She appeared on Fox News Sunday to do damage control with Chris Wallace. Rice repeated her view that an “anti-Islamic film” was the cause of the riots. Furthermore, State Department Spokeswoman Victoria Nuland initially denied the Blue Mountain contract. She later corrected herself. The contract is found easily by searching on the government contract bid website. Secretary of State Hillary Clinton continued to characterize the attack as mob outrage sparked by the YouTube video criticizing the Prophet Mohammed. “We firmly reject the actions by those who abuse the universal right of free speech to hurt the religious beliefs of others,” she said. Even while the Benghazi consulate was burning, the White House kept tweeting their support for this bizarre message. On October 13th Hillary and Bill Clinton spent their anniversary lawyering up and planning their next move. Their decision three days later, and on the eve of an important election debate, was for Hillary Clinton to take responsibility, but without any clear understanding of who and what consequences would be suffered for the deaths of two of her employees and two Agency contractors. President Obama would also take responsibility, again without the same clear view on what consequences would result. In the Hofstra University Presidential Debate on October 16th, the President assured the audience, and the American public, that he had ordered greater security for our embassies. My requests to the embassy, FBI, government and security providers were all rapidly rebuffed with the excuse that there was an ongoing FBI investigation and no comment could be provided. This is the same FBI that didn’t show up in Benghazi until three weeks later due to their concern for their safety. With parents of those killed in Benghazi angry at being used, lied to and betrayed and the administration in freeze mode, I turned to someone who had enough on-the-ground experience to comment on the what the consulate’s security profile should have been. Erik Prince, a former U.S. Navy SEAL, is the founder and owner of Blackwater. Blackwater’s assets were sold to Academi. Erik has a very vivid understanding of similar events. Blackwater first came to the public’s attention in March 2004 when four of its employees were brutally murdered and publicly violated by an angry mob in Fallujah, Iraq. It was determined later that the Blackwater contractors didn’t engage with sufficient firepower and while driving in “thin-skin” unarmored cars were easily ambushed and killed by insurgents. An increasingly violent landscape meant that the U.S. government, more specifically the State Department, had to rapidly scale up defensive measures for their diplomats and embassy workers. State’s go-to contractor was Blackwater. In over 50,000 protectee movements in Iraq, Afghanistan, Israel and other high-threat environments, Blackwater had a record of zero government client casualties. But even a contractor with a perfect record and under the direct control of State or the Agency can be disposed of and another iteration hired. So with minimal private security and a failure of both Libyan and U.S. State-provided security, who exactly will take the fall for Benghazi? I recently caught up with Prince to gain some insight into how a typical hot-spot embassy is guarded, how the Benghazi consulate was guarded, and who’s to blame for the tragedy in Benghazi. Embassy security generally includes local nationals, static security guards—which guard places like gate access points and are usually third country nationals—Department of State, or DS, security guards, and an RSO. Contrary to what most people think, the Marine Corps does not guard an embassy. Marines guard the door to the embassy and the sensitive information within the embassy, but not the building, according to Prince. There were no Marines at Benghazi. But there were plenty of locals. In their roles as guards, these personnel are tasked with repelling attacks like that of September 11th that killed Stevens. On the night of September 11th, the guards seem to have done little to repel the attack. The Ambassador is guarded by a mobile private security detail along with the DS agents. When the attack happened the DS agents lost their assignee, the Ambassador. And when the second attack occurred at the CIA annex, the DS agents weren’t the ones who went down fighting—it was the former SEALs that died fighting. There have been allegations that the Ambassador had a personal appointment the night of the attack. Some say it was a date. Whatever the case, his security guards were not with the one asset they were assigned to protect—Chris Stevens. The Ambassador does not determine the security profile of U.S. foreign installations. That job is left to the head of Diplomatic Security in Washington. And while the higher-ups in Washington may have misjudged the threats present in Benghazi, men on the ground, those assigned to the Ambassador, failed to do their job. Not surprisingly, Prince, among others, thinks that a security detail more like what Blackwater offered disaster may have been avoided. Such is the nature of foreign security under Secretary of State Clinton. Which is to say that the State Department opted for a smaller security footprint—no armed guards, no Blackwater-type guards locked and loaded on every corner—that would, hopefully, be less of an offense to locals, especially locals in a country where the U.S had just supported the toppling of a dictator. So the big question is who will take the fall for the poorly guarded embassy and the deaths of four Americans working in service to their country? The only person who came to the aid of the embattled consulate staff, correctly identified the attack as a terrorist event, and successfully evacuated the Americans was Deputy Interior Minister Wanis Al-Sharif. He was fired on September 26th. This is a terrific article. The only point I would disagree with is the assertion that it negatively impacted Obama’s campaign. This does not appear to have happened as the current crop of Americans have embraced a stunningly high level of apathy. I certainly hope this story does not go away. I do like this article, very informative but i do disagree with the above poster. Do not see why he is trying to make this over political! I can see that Robert knows his stuff thats for sure. The State Department’s own Accountability Review Board concluded that the number of diplomatic security staff in Benghazi in the months leading up to the attacks was inadequate “despite repeated requests” from the Benghazi mission and the embassy in Tripoli for additional staffing. However, no evidence has been uncovered to date that Hillary Clinton herself was aware of the requests, or that she willfully denied them. Is it true that Qaddafi built up Libya’s middle class by sharing the oil profits in the form of cash payouts, free electricity, and health care with the citizens? In other words, Qaddafi wasn’t the brutal dictator he has been portrayed to be. Very detailed article however not sure if this should be used as an argument against political correction. Anyway, thanks for sharing and looking forward to more stories like this one.